Fresh university graduates from science and technology streams are being recruited, to meet the military’s demand to develop advanced software products. Defence Minister Sergei Shoigu made a rather unexpected statement at a recent meeting with the rectors of Russia’s leading universities. “We are starting a ‘big hunt’ for computer programmers,” the defence chief said in a sensational remark that stunned his audience. They felt relieved though when Shoigu explained that he meant the term ‘hunt’ in a good way. Military commanders will need a great deal of software products over the next five years. The code will be written by, among others, soldiers serving in science squadrons. According to the minister, they will have to translate sophisticated mathematical equations “into understandable and tangible volumes and numbers – both financial and informational or speed related.” Besides, the Armed Forces face a huge number of tasks that need to be accomplished on an ad-hoc basis. “On the one hand, we need to overcome some inertia. On the other, we would like the newly established science squadrons to help raise a new generation that will develop the military science,” Shoigu said. The Minister of Defence picked the right moment to share his ideas. Friday marked the end of a drive to recruit university students volunteering to serve in science squadrons at the Nikolay Zhukovsky – Yuri Gagarin Air Force Academy. Competition for places was fierce, with three applicants for each spot. Out of 90 candidates, the military picked 35 recruits whose university research can be applied to solving defence problems. Nine regional draft boards studied their personal profiles. According to Shoigu, there are no ‘well-connected guys’ in the science squadron, and there never will be. Those who didn’t make the final list were placed in reserve. They will be needed when generals start forming science squadrons for the Navy and the Air Force. Shoigu told the rectors that the structures and staffing of the science squadrons had been approved. Experienced commanders and research advisers have been assigned to student soldiers. At the Air Force Academy, 30-year-old Major Viktor Merzlov – a recent PhD graduate from the Academy – has been appointed commander of the non-standard squadron. Aerospace engineers Senior Lieutenants Oleg Strashko and Aleksei Lizgun, and Lieutenant Maxim Stadnikov will command the platoons. The mission, staff schedule, and even names of those units are unique. Nowhere else will you find a platoon for modelling hydro-meteorological processes and phenomena of high- and medium-pressure air separation, where 12 students will now serve. 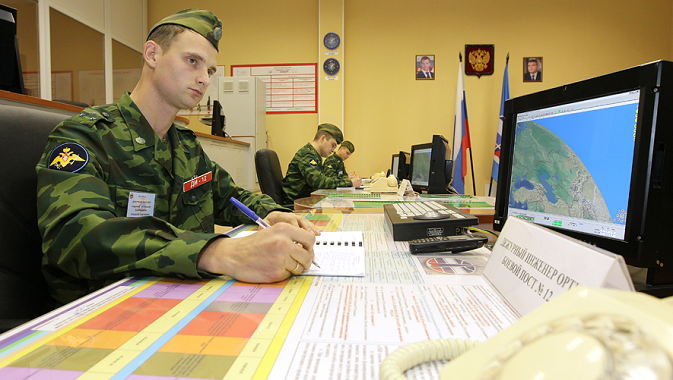 The Army has no other platoon for development and improvement of design of aircraft, engines, avionics and radar systems (consisting of 13 servicemen), or a platoon for radio and electronic warfare and the evaluation of the reduction of visibility and data protection in automated information systems (staffed with ten recruits). In terms of how the students’ service will be organised, officers are certainly not going to make it totally detached from the regular Army rules. The recruits will take a military oath on July 10 and go through a boot camp. They will learn how to fire a submachine gun and get a basic idea about combat tactics and how to act in defensive and offensive situations. As any other regular soldiers, the students will have to catty out duties, receive physical training, and take part in morning and evening roll calls. Yet the main service mission and key function of those non-regular recruits will consist of scientific research. It will take the place of special, engineering, firing and other types of combat training in the company’s daily schedule. The ‘scientist’ soldiers won’t have to rough it out in barracks. Since they will have to think hard both during and outside of service hours, they will be lodged at the Academy’s premises with relative comfort – four in a room. Each dormitory has been fitted with a computer. And instead of attending classes, the recruits will study at the Academy’s labs. “After conducting a half-year experiment, next year we will recruit students into science squadrons simultaneously with placing R&D orders”, Shoigu told university rectors.